Temporarily extend your dining table with leaves to entertain more guests. Leaves allow you to seat more people and create more table space for extra food and plates. This piece has leaf storage space inside itself, allowing you to stay organized and preventing you from losing your table leaves elsewhere. 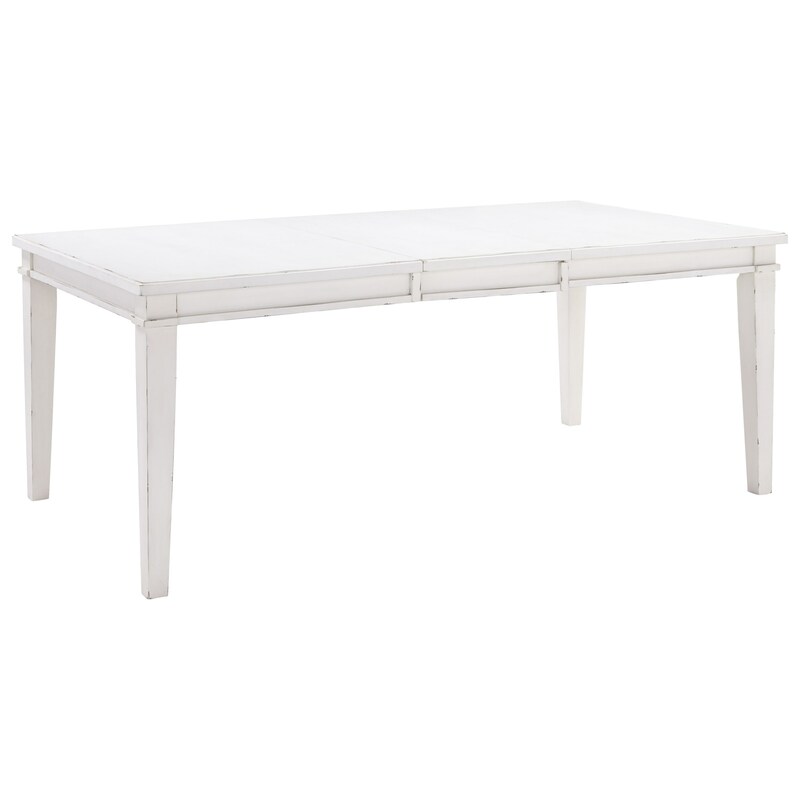 Perfect for a dining room with limited space, this rectangular extension table gives you the ability to host more guests when needed, without taking up too much space on a day-to-day basis. Modestly designed with just the right amount of charm, this table boasts a chipped white finish that gives it its distinct cottage feel. The Danbeck Rectangular Dining Room Extension Table by Signature Design by Ashley at Household Furniture in the El Paso & Horizon City, TX area. Product availability may vary. Contact us for the most current availability on this product. Handles & Hardware Detailed knobs have a craftsman look with nail heads and hammered face in antique silver color finish. Establish a cottage ambiance in your home with this collection of dining room items. From the arched paneling seen on the server, to the chipped white finish featured throughout these pieces, you won't be disappointed by the cottage charm that this collection will welcome into your space. The Danbeck collection is a great option if you are looking for Casual Cottage furniture in the El Paso & Horizon City, TX area. Browse other items in the Danbeck collection from Household Furniture in the El Paso & Horizon City, TX area.